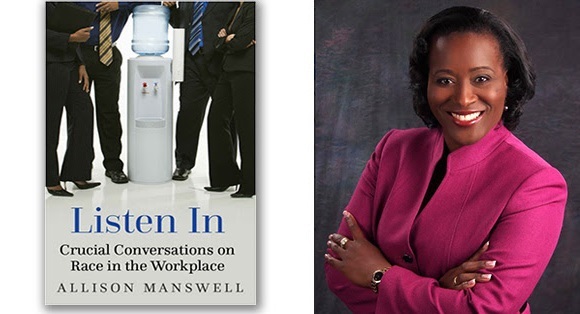 Ellicott City, MD -- As part of their Diversity Dialogue Series, Harvard University has selected Allison V. Manswell to speak on Race in the Workplace. Allison is the author of Listen In: Crucial Conversations on Race in the Workplace. This annual event is designed for faculty and staff to build awareness around a range of issues related to diversity and inclusion. This is one of the first times that race is a headline issue and it will feature key concepts from Manswell's book. "It is an honor to be selected to speak at Harvard University's 2018-2019 Diversity Dialogue Series," said Allison Manswell. "I will address the realities of race in the workplace and provide solutions for how we can do so in an empowering way that engages everyone and gets results." Dr. Barbara Nobles Crawford, Executive Coach and Senior OD Consultant at Harvard University's Center for Workplace Development participated in Allison's session on race in the workplace at the HR Leadership Forum and said, "Allison is absolutely outstanding, downright exemplary in her presentation of this topic from beginning to the end. She engaged the audience in a safe way so that all felt free to speak up. She nailed this conversation with contemporary thought, and does a remarkable job balancing both sides of the subtle and not so subtle subject of race in the workplace. I am delighted that she will be joining us here at Harvard." The Diversity Dialogues will be held on Thursday, November 15, 2018 from 10am-2pm at Harvard Hillel, 52 Mt. Auburn Street, Cambridge, MA. For more information, visit Harvard University Diversity Dialogue Link. Path Forward Consulting is a talent management consulting firm that provides expertise in organizational effectiveness, leadership development, diversity and inclusion. Led by author and Chief Results Officer, Allison V. Manswell, this boutique firm provides expertise in organizational effectiveness, employee and leadership development interventions with Fortune-ranked companies like Exelon, Lowe's and State Farm. Allison holds an MBA in Leadership and the industry credential as a Certified Professional in Learning and Performance (CPLP) from the Association for Talent Development.